This week, we’re proud to partner with ASAT – Association for Science in Autism Treatment – to bring you this practical article on Guided Playdates. We will be periodically showcasing articles from our colleagues at the Association for Science in Autism Treatment (ASAT). To learn more about ASAT, please visit their website at www.asatonline.org. You can also sign up for ASAT’s free newsletter, Science in Autism Treatment, and like them on Facebook! 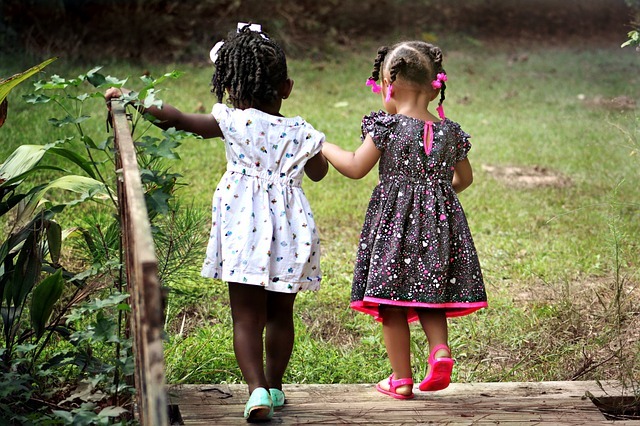 In this piece, authors Caitlin Reilly, MA and Carole Deitchman, MA, BCBA discuss the importance of play dates while offering accessible information on planning an effective play date and selecting peers, as well as on data collection. My child with autism is doing well in his academic programming, but I’d like to help him develop social skills with peers. He participates in play dates, but I often worry that we are not making the most of these opportunities. How can I help him learn to play with a friend? Fostering the development of play and social skills should be an essential component of any educational or home program for children with autism. Possessing these skills not only improves a child’s overall quality of life and ability to sustain relationships, but also enhances his or her ability to learn from others. Many children with autism often need direct and systematic instruction to learn these skills. playing with a few age-appropriate toys and one or two simple games (Smith, 2001). As you think about the types of activities that may occur during the play dates, make a list of the skills that your child will need to successfully play with a friend. It is often very helpful to teach these important skills with adults first (Leaf & McEachin, 1999), as an adult is more likely to reliably and favorably respond to your child than a peer might be. Many of the above listed skills are likely ones that your child is also working on in school, and your addition of practice opportunities at home will help your child generalize learning to other people and situations. In addition to empowering your child with an array of foundational skills, it is important to guide his play dates using evidence-based methods. These methods incorporate techniques that have been repeatedly shown to be effective through controlled, scientific research. For your child’s play dates, such methods include the use of motivational systems, the strategic use of reinforcement, and the use of systematically faded prompts. While the first few play dates may require a close adult shadow and contrived reinforcement for desired behavior (e.g. chips or candy), the goal is to systematically fade the adult’s proximity and prompts and foster the child’s contact with naturally occurring reinforcement (e.g. the enjoyment of playing a game or talking to a peer). Evidence-based methods also call for the collection of objective data to monitor progress. In order to increase motivation during the play date, use toys and activities that are especially enjoyable for your child and his friend (Koegel et al., 2005). Motivation is essential for keeping both children engaged, and for maximizing your child’s learning. Your child will be more likely to ask his friend to play a game if he enjoys that game. Similarly, the peer may be less likely to engage with your child if he does not enjoy the play date activity. Taking turns in selecting activities or using a choice schedule of activities may help in this regard. It is also important to identify specific skills that you want to teach your child during his play dates. These may include such skills as greeting friends, initiating an activity, or asking questions. For example, the first several play dates may focus on saying “Hi” and “Bye” to the peer and playing catch. As with other types of skill instruction, consider pre-teaching these play and social skills with adults or at home with a sibling. Your child may require significant prompting initially, so think about how you can fade those prompts as your child’s skills improve and how to provide plenty of practice opportunities across settings, activities and individuals. Once your child greets his friend with ease and independence, focus on teaching him more complex play skills such as asking questions (e.g. “How are you?” and “Do you want to play?”) and making comments while interacting with the peer (e.g. “This is fun!” or “This is my favorite game.”). Start with teaching simpler skills, and then build on those your child has already accomplished. If your child has difficult behavior, make a plan for how to manage it and follow through during play dates. Your plan may include “preventative” strategies, such as limiting the duration of the play date, using visual supports (e.g., activity board), providing a break, or minimizing activities that are a source of obsession or possible angst. Do not be concerned so much about embarrassing your child as giving him the support and repeated practice opportunities that he needs to be successful (e.g., repeating an interaction in which eye contact was not exhibited). Consistent consequences are essential in order to decrease disruptive behaviors and to help your child successfully relate to his peers (Maurice, Green, & Luce, 1996). Potential play date peers should include boys and girls of different ages (Smith, 2001). The best peers for play dates are often open and responsive. That is, they provide ample opportunity for your child to learn; they ask questions, they respond with enthusiasm, and they exhibit patience as your child practices socializing. From a behavior analytic standpoint, we might view a peer’s response as reinforcement for your child’s response. So, if his peer is unresponsive, your child may be less likely to initiate with that peer again during future opportunities. Ask your child’s teacher or other school staff for peer suggestions, or ask the parents of neighborhood children whom you know. Peers that your child naturally comes into contact with on a regular basis, such as family members, are ideal for practicing social skills (Oppenheim-Leaf et al., 2012). It is important that your child’s peer and his or her parents know about your child’s unique behaviors and needs (Baker, 2003). Prepare them for what to expect, and ask the other parent for permission to give rewards during or after the play date. For example, the peer might be rewarded for asking your child a question or waiting patiently while your child responds. Reinforcing the peer for interacting with your child will motivate him to interact with your child more in the future. Taking data on your child’s progress is essential to ensuring effective teaching strategies. This process will help you set goals, monitor changes objectively, and alter your teaching methods if progress has stalled or declined. For example, if your child is not learning to say, “Hi” to his or her peer, you may need to increase motivation to learn, increase your level of assistance (such as providing a verbal model of the greeting), or consult with a qualified therapist for other suggestions. The following is an example of a basic data sheet that can be created to track your child’s progress during each play date. The skills that you teach and the data you collect will vary depending upon your child’s individual needs and abilities. Set aside favorite snacks to use as rewards for your child during his play dates (Leaf & McEachin, 1999). It is best to save these special snacks for play dates only, as this will make your child more eager to earn them. During the play date, “shadow” your child by positioning yourself behind him in order to prompt initiations with and responses to his peer (Krantz & McClannahan, 1993). When your child demonstrates target behaviors (e.g., making eye contact with his peer) or is successful in relating to his peer (e.g., making eye contact and saying “Hi, Kyle.”), praise him (e.g., “Great job saying ‘Hi’ to Kyle!”), and give him a small piece of his favorite snack. As your child’s learning progresses and he demonstrates these skills independently, you should fade use of this shadowing technique, including use of your prompts and instruction, as well as reducing the delivery of snacks and social praise as rewards. Ultimately, your child’s behavior will be rewarded by playing and talking with his friend, rather than your delivery of verbal and edible praise. It may also be necessary to reinforce the efforts of the peer, particularly if your child is not cooperating. Many children with autism learn new things by using activity schedules (Krantz & McClannahan, 1998). Therefore, it may be worthwhile to make a “play date schedule” that your child and his friend can follow. This might include pictures of the activities and/or peer. As your child learns, you can gradually fade out the schedule so that the play date becomes more natural. You might also arrange materials so that the children must work together to complete an activity (Koegel et al., 2005). For example, if making cookies, have one child hold the measuring cup while the other pours the ingredients. When starting out, keep the play dates short rather than stretching them out as long as the child seems comfortable or until something goes awry (Smith, 2001). A five-minute-long successful peer interaction is better than a 30-minute one that ends in a disruptive outburst. It may take several play dates for your child to become comfortable with his peer, and it will take time for him to learn new skills. It may be helpful for your child to have play dates with one particular child until he demonstrates mastery (i.e., independence) of specific skills; then try teaching those play skills with another child. Since the pioneering work of Dr. Ivar Lovaas (1981), who demonstrated how parents could teach important skills to their children with autism, we have learned many effective ways to teach social and play skills (Leaf & McEachin, 1999; Lydon, Healy, & Leader, 2011; Koegel, Werner, Vismara, & Koegel, 2005; Smith, 2001; Krantz & McClannahan, 1993; Krantz & McClannahan, 1998; Maurice, Green, & Luce, 1996). Consulting with a qualified specialist may be helpful for planning and implementing effective play dates, but remember, you are your child’s first teacher. By using these techniques during guided play dates you are not only teaching your child essential social and play skills, you are teaching him how to have more fun! Baker, J. E. (2003). Social skills training for children and adolescents with Asperger Syndrome and social communication problems. Shawnee, MI, Kansas: Asperger Publishing Company. Freeman, S., & Dake, L., (1997). Teach me language: A language manual for children with autism, Asperger’s syndrome and related disorders. Langley, BC: SKF Books. Koegel, R. L., Werner, G. A., Vismara, L. A., & Koegel, L. K. (2005). The effectiveness of contextually supported play date interactions between children with autism and typically developing peers. Research & Practice with Severe Disabilities, 30, 93-102. Krantz, P. J., & McClannahan, L. E. (1993). Teaching children with autism to initiate to peers: Effects of a script fading procedure. Journal of Applied Behavior Analysis, 26, 121-132. Krantz, P. J., & McClannahan, L. E. (1998). Activity schedules for children: Teaching independent behavior. Bethesda, MD: Woodbine House. Leaf, R., & McEachin, J. (1999). A work in progress: Behavior management strategies and a curriculum for intensive behavioral treatment of autism. New York: DRL Books. Lovaas, O. I. (1981). Teaching developmentally disabled children: The me book. Austin, TX: Proed. Lydon, H., Healy, O., & Leader, G. (2011). A comparison of video modeling and pivotal response training to teach pretend play skills to children with ASD. Research in Autism Spectrum Disorders, 5(2), 872-884. Maurice, C. Green, G., & Luce, C. (1996). Behavioral intervention for young children with autism: A manual for parents and professionals. Austin, TX: Proed. Oppenheim-Leaf, M. L., Leaf, J. B., Dozier, C., Sheldon, J. B., & Sherman, J. A. (2012). Teaching typically developing children to promote social play with their siblings with autism. Research in Autism Spectrum Disorders, 6(2), 777-791. Smith, M. J. (2001). Teaching play skills to children with autism spectrum disorder: A practical guide. New York: DRL Books. Reilly, C., & Deltchman, C. (2013). Guided play dates. Science in Autism Treatment, 10(2), 18-20. Caitlin Reilly, MA, BCBA currently works as a behaviorist for the Summit Public School District, and is concurrently working toward her PsyD in School Psychology at Fairleigh Dickinson University. She also serves as the Sponsorship Coordinator and is a media watch contributor for the Association for Science in Autism Treatment. Carole Deitchman, MA, BCBA consults for families and school districts to help children with autism. She is completing her PhD research in applied behavior analysis by teaching children with interfering rituals and routines to self-manage their behavior. Written by: Different Roads to Learning on November 19, 2015.on November 20, 2015. This entry was posted in ABA, Academics, Applied Behavior Analysis, autism, autistic spectrum disorder, Development, From the Experts, Social Skills and tagged ABA, Applied Behavior Analysis, autism, autism education, autistic spectrum disorder, behavior management, conversational skills, interactive play, peer play, reinforcement, social behavior, social skills, socialization, special education, special needs, teaching tools by Different Roads to Learning. Bookmark the permalink.